The Veneza Bed by Verona provides an immediate statement piece to any room due to the grandeur and nature of a four poster bed. The solid columns are curved in an attractive finish which complements the curve of the headboard and footboard. Four Poster Beds remain one of the most beautifully styled beds in the market today and the use of natural looking wood ensures that this would be at home in both contemporary and traditional settings. 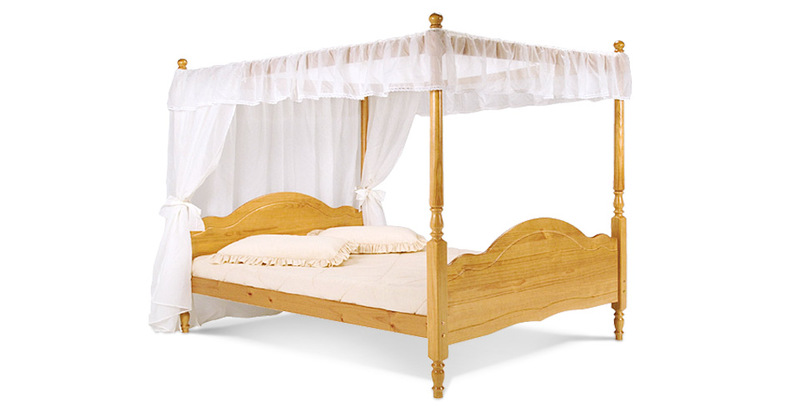 The Veneza Bed by Verona is made from pine ensuring a long lasting strong structure. Please quote this Products's code 81018B to speed up your query if related.